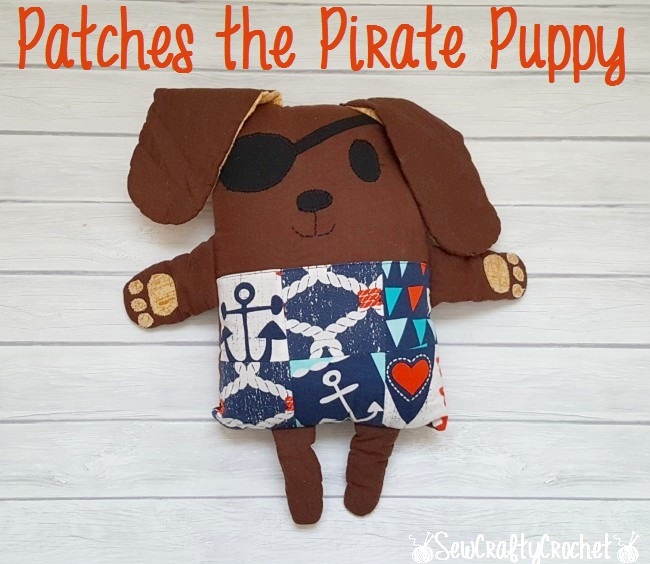 While browsing through Pinterest for ideas for my son's nautical nursery, I stumbled upon an adorable pirate puppy. Of course, I had to make one! 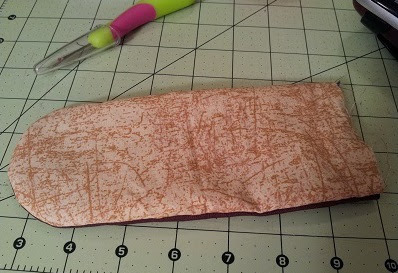 But, I didn't have a pattern, so I just winged it. 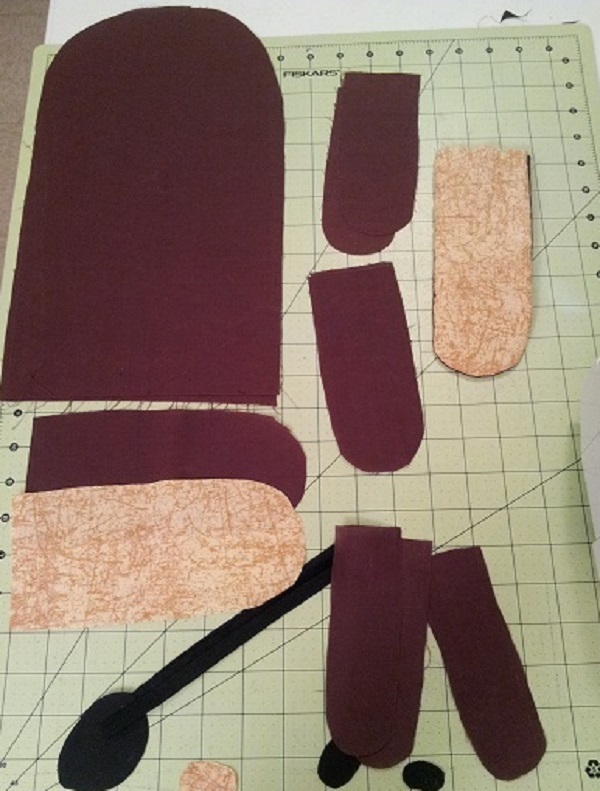 I cut out pieces for the body, face, eye patch, arms, legs, and ears. 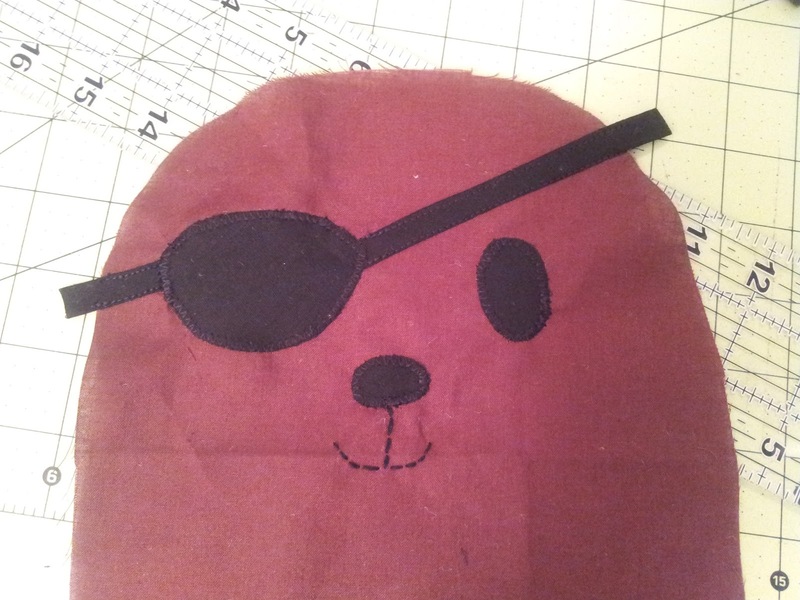 I sewed on the eye patch, eye, and nose using my sewing machine, but I sewed the mouth on by hand. 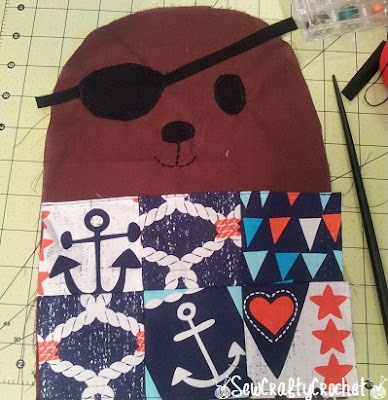 Then I used the Ahoy Matey fabric to create patchwork for the pup's body. 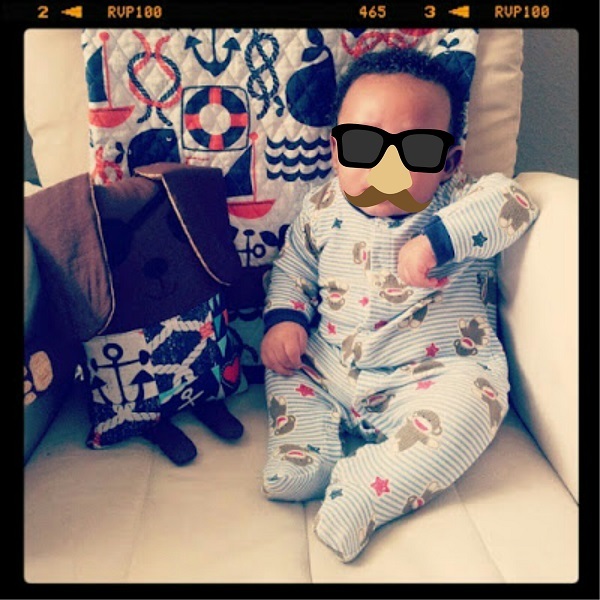 High 5... or 3! 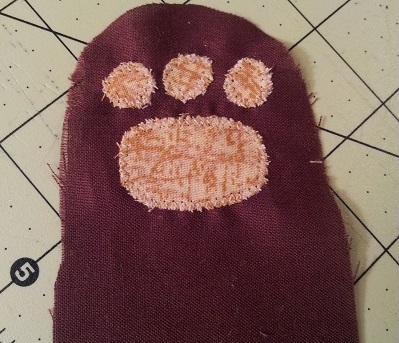 I used a zigzag stitch to sew on the parts of the paws. 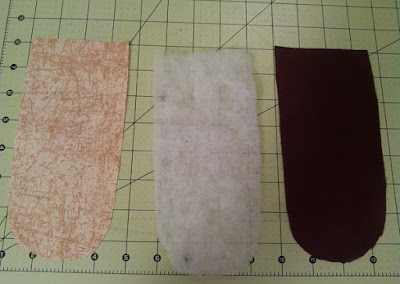 These are the layers for the ears. I used the tan fan for the under side of the ear, a thin piece of batting in the middle, and dark brown for the outer ear. 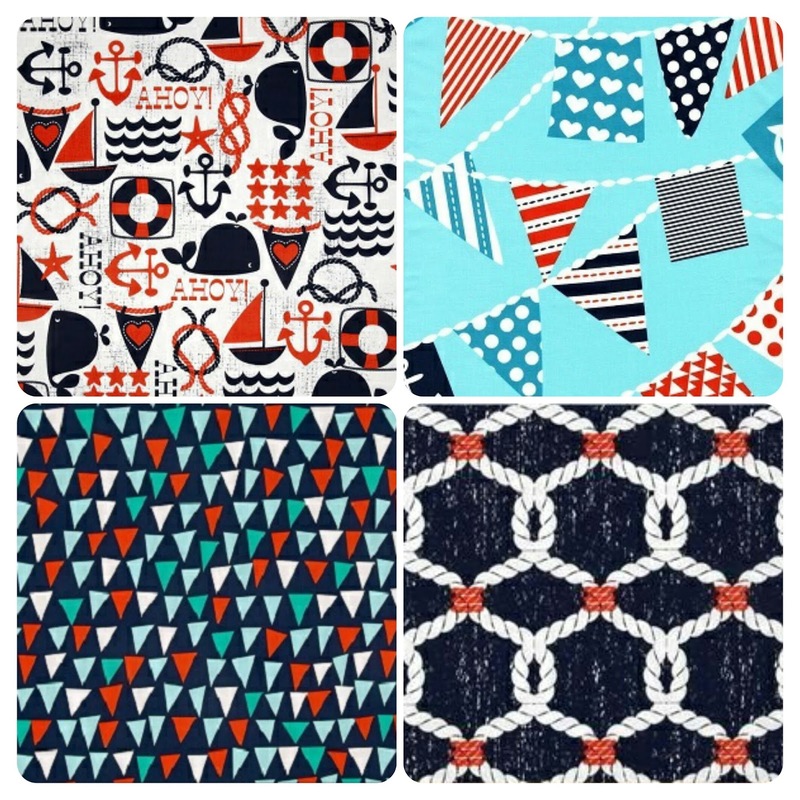 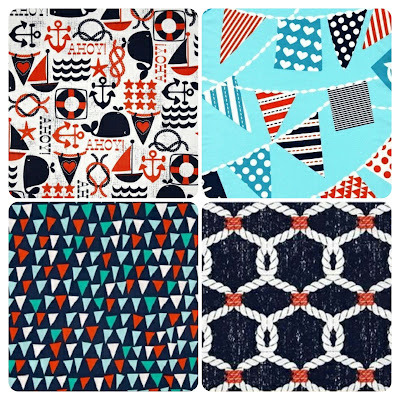 I used fabrics from Robert Miller's Ahoy Matey collection to create the pup's patchwork body. I stuffed him and sewed on his arms and legs. 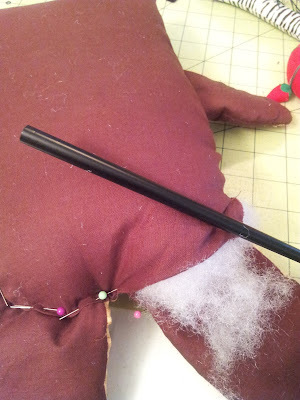 I always use a plastic chopstick to help get the stuffing in the right places. 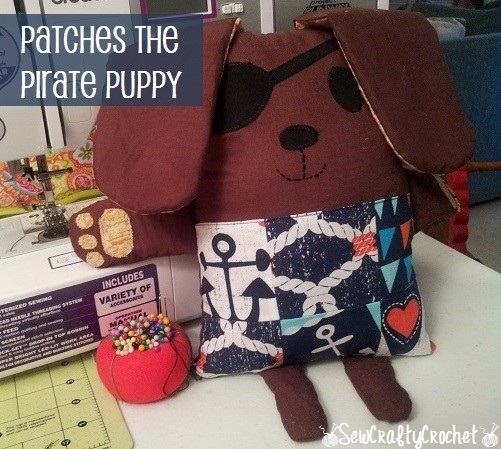 Now Patches the Pirate Puppy hangs out in the crib waiting for the baby to go to bed. 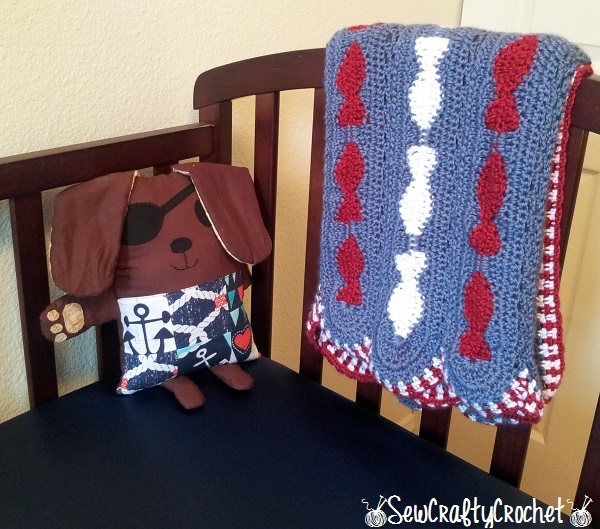 He's hanging out with the Crochet Fish Baby Blanket I made for my son. My son enjoys hanging out with his new buddy, Patches.